There have been numerous reports in the scientific and popular literature suggesting that African baobab (Adansonia digitata) trees are dying, with symptoms including a black mould on their bark. The aim of this study was to determine the identity of the fungi causing this black mould and to consider whether they might be affecting the health of trees. The fungi were identified by sequencing directly from mycelium on the infected tissue as well as from cultures on agar. 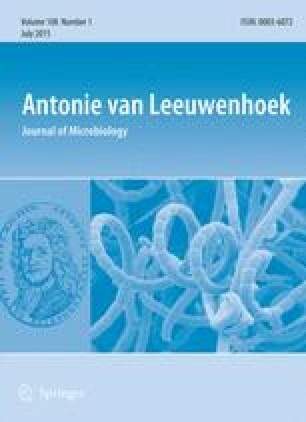 Sequence data for the ITS region of the rDNA resulted in the identification of four fungi including Aureobasidium pullulans, Toxicocladosporium irritans and a new species of Rachicladosporium described here as Rachicladosporium africanum. A single isolate of an unknown Cladosporium sp. was also found. These fungi, referred to here as black mould, are not true sooty mould fungi and they were shown to penetrate below the bark of infected tissue, causing a distinct host reaction. Although infections can lead to dieback of small twigs on severely infected branches, the mould was not found to kill trees. We thank members of the Tree Protection Co-operative Programme (TPCP), the NRF-DST Centre of Excellence in Tree Health Biotechnology (CTHB), and the University of Pretoria, South Africa for the financial support that made this study possible. We also thank Dr. Sarah Venter for help in locating suitable trees for sampling in the Venda area and Dr. Martin Coetzee and Andrés de Errasti for help with sampling.